The first time you go to a Dunkin Donuts, you should always start with a glazed donut. It’s the most basic, popular donut on the menu and will determine if you will continue to return for the donuts. I can hear some of you say, “But, Stacy, I don’t eat donuts! I’m on a diet/diabetic/just plain don’t like them.” Then you can just have a glass of water and wait for another starter menu item. I’ve been searching for my purpose for a while now. I’ve been wondering where my career path is going to take me, hoping it would land me somewhere out west or even in a nice office in Downtown Indy. The more I hoped for that, the more I despised working in food service. The funny part is I never despised it while I was actually at work. I love meeting customers, putting their orders together, and, of course, finishing(frosting and filling) the donuts. Being a college graduate with a degree in accounting and finance, people ask me when I’m going to get a real job. Before now, I would say something like, “I’m trying,” or “I’m waiting for the right job.” Now, it’s time I stand up and say, “This is my real job. I am committed to the donut life. I want to run my own store, use my business knowledge to help cut costs, drive sales, provide excellent customer service, and be profitable.” As an Assistant Manager, I am the Store Manager’s confidant. I am the one she is going to run new ideas past. I interview potential hires, make the schedules, and run the store when she is on vacation. Yes, I sometimes go to work at 3am. It sometimes feels like I don’t get to hang out with my friends as late as I want. I also don’t get to sleep in that much. But, that’s part of the job, I guess. Vacations are just that: no stress or chance of dealing with work things. However, days off always include at least checking my work email or getting a text from my manager about picking up something from another store. 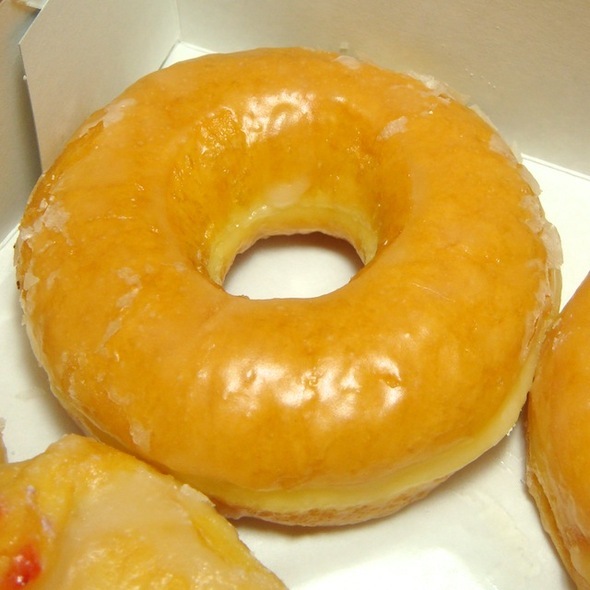 The Glazed Yeast Donut: To me, biting into a freshly glazed donut is a taste of success. The kind for which one of you dieters actually would use a glazed donut as a reward! My current life example: Disassembling my old twin bed by myself. It doesn’t sound like much, but with a completely wooden frame, mattress, and box spring I saw the feat as almost impossible, especially when I was racing the new bed’s delivery truck. It is now in unbroken, unscratched pieces in my living room waiting for the new owners to pick it up tomorrow night. I struggled loosening the screws holding it all together. At one point, I had almost given up, but that last bit of energy, and the tool box that Dad got me for Christmas saved me. That glazed donut, that success, is the start to something better. It shows you that you can have/do more than you thought possible. Tell the world to bring it on! Nothing is completely impossible! This entry was posted in Inspiration and tagged career, donuts, Dunkin Dio, Dunkin Donuts, food service, success. Bookmark the permalink.